While it's considered an SUV, the 2018 Subaru Outback should be seen as a wagon with higher ground clearance. Its capacity for cargo hauling and all-weather use make it a compelling choice for adventurous buyers. Subaru's iconic boxer engines -a 2.5L and a 3.6L six-cylinder -offer great efficiency, but safety is why most people buy these cars. AWD is standard, and that's just part of the "why buy" equation. 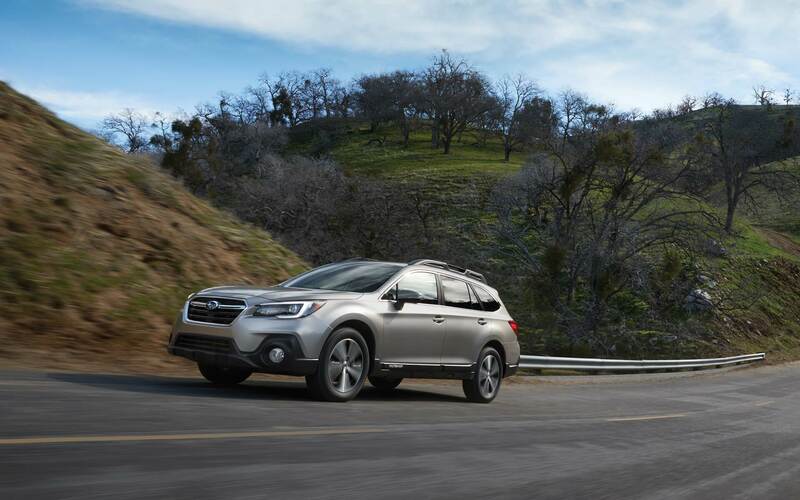 Read on to learn more about the Denver area deals at Flatirons Subaru. Slightly upgraded for 2018, the Outback's formulaic design is freshened with crossover details such as strong roof racks, body cladding, and a tall ground clearance. An upgraded grille, new rear and front bumpers, and other design cues offer a better look for this year, and Limited trims now come with 18" wheelsThere's quite a bit of crossover genetics in the new Subaru Outbacks. It's 8.7" ground clearance is not only better than that of most of its peers, it beats some of its rivals by almost half an inch. It offers enough room to go off road, as long as the driver isn't afraid to ruin that shiny new paint job.. 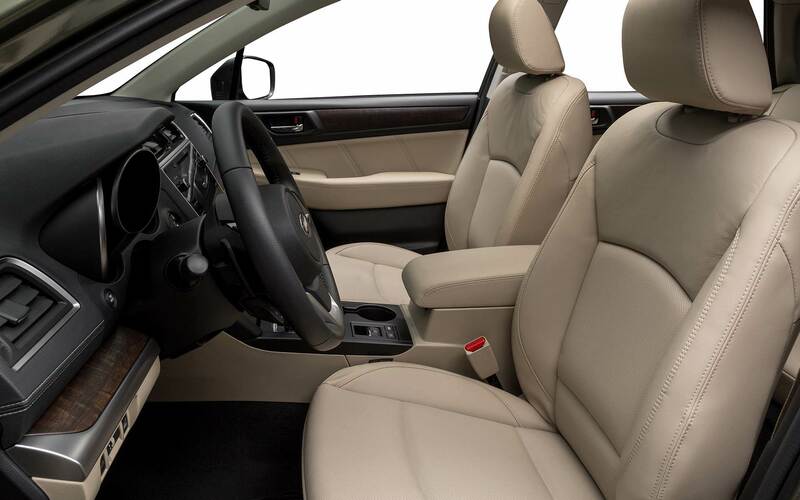 The Outback's interior is built to a high standard of functionality and versatility. Soft-touch surfaces abound throughout, and center/door panel armrests are comfortable enough for road trips. 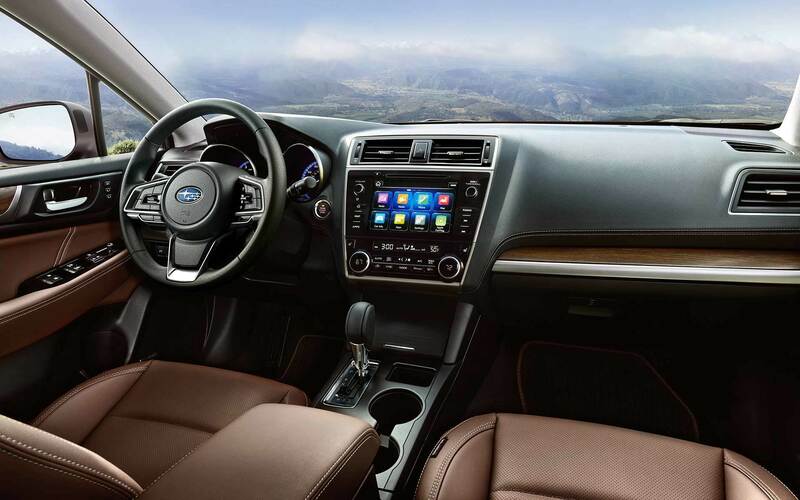 Both the steering wheel and console are modified for this year, and upscale trims now have accent stitching on the doors and seats, glossy trim, and silver accents around controls.All new Subaru Outbacks come with a touchscreen infotainment setup and wheel-mounted cruise and audio controls. The base model comes with basic amenities, but customers will have to move up to the Premium for additions such as auto climate controls, power adjustable driver's seating, or heated seats. The Touring and Limited trims bring additional features such as leather upholstery, power adjustable front passenger seating, and rear seat vents. Buyers of the 2018 Subaru Outback have two engine choices: the base 2.5L, 175hp or the 3.6L, 256hp V6 that's available on top trim levels. Both engines carry over unchanged from last year, and the only transmission option-a CVT or continuously variable automatic-has been refined for a smoother response. Both engines are set up in a boxer configuration, which gives these vehicles a lower center of gravity, and like all other Subarus besides the BRZ, Outbacks come with standard AWD.Despite its wagon-like proportions, the Outback's performance shows that it's a viable alternative to the crossover. When viewed in this way, the vehicle's carlike ride and other attributes give it an advantage over its clunkier competitors. Thanks to its upgraded suspension, the 2018 model has an improved ride; its brakes and steering are improved as well. While its performance is quite similar to that of the previous model, we think that's a good thing, and we invite drivers to come and test it out at our Flatirons Subaru dealership serving Denver Colorado. Subaru has a long-standing reputation for safety, and this year's Outbacks continue the trend. Standard safety features include side curtain airbags, frontal side and seat cushion airbags, and a government-mandated backup camera. The available EyeSight system brings smart cruise control, lane keep assist, auto emergency braking, and lane departure notification. EyeSight is only available on the Limited, Touring, and Premium trims.Little has changed for 2018 as far as safety is concerned, and that's one of the reasons why we like the Outback so much. Adaptive headlights swivel with input from the steering wheel; they're an available option. The backup camera's guidelines move according to steering angle to prevent parking-related collisions.Child seat installation is quite simple, and most parents will find it easy to get to the LATCH anchor points. Wide opening rear doors make it easy to install and remove child safety seats, although taller passengers may have to move the front seat forward before the seats are put in. Stop by our dealership serving Denver Colorado to see these safety features in person. 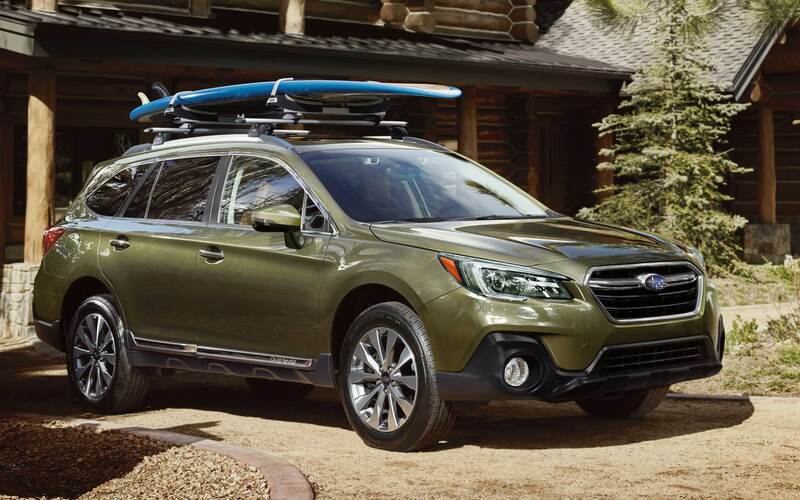 The Outback is a standout in Subaru's lineup, and it's on display in our local showroom. We think drivers will like its symmetrical AWD and boxer engine, and we invite drivers to come down or call to find out about our finance and leasing specials. If you want to save on a new car, start with our sales and finance departments. 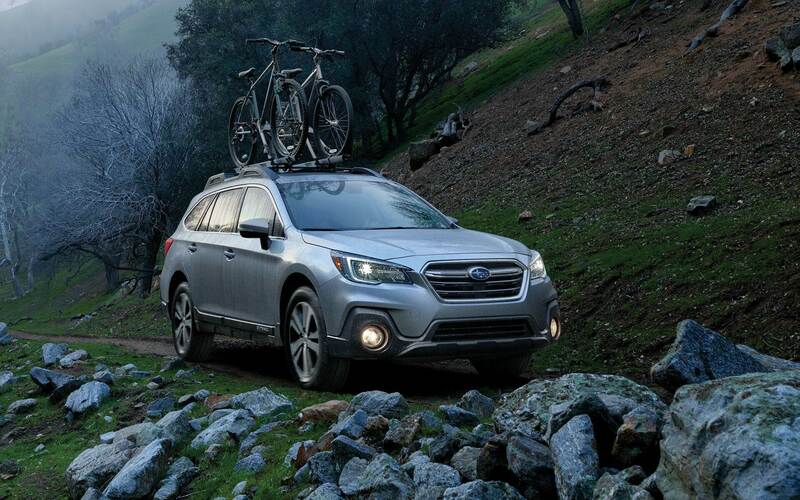 Our team can help any driver get the most favorable Denver area deals possible, and we look forward to working with our local customers.We think there's a lot to like about the 2018 Subaru Outback, and we believe that it's a viable alternative to conventional crossovers. Stop by our Flatirons Subaru showroom serving Denver Colorado to see it for yourself, or call us to find out about Denver area deals.